August is in full bloom. NYFW/MADEfw is fast approaching but what kind of summer would it be without the bag of the week? A dreadful I must say. 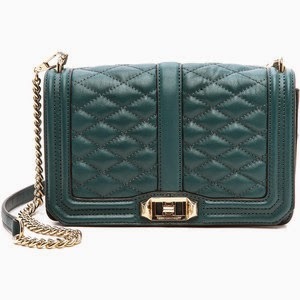 So this month's bag of the week goes to Rebecca Minkoff's Love Crossbody simply because I'm a woman that loves a bag that can go across my shoulders. 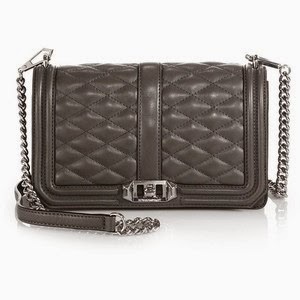 Hence the name, Crossbody! The size is perfect to wear when you're running a quick errand or going to lunch with your girlfriends. 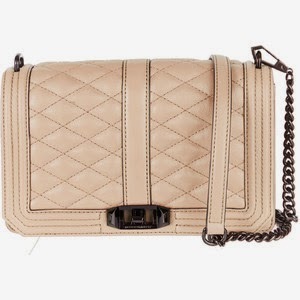 It's quilted and made with light gold hardware but the best thing about this crossbody is that it can also become your clutch. Talk about versatility! Rebecca Minkoff wins with this bag and with fashion week around the corner I wouldn't be surprised to this Love Crossbody on a fashionista's shoulders.